Japan is famous for its snow festivals, some enormous and monumental, others cozy and intimate. Check out our Top 10 ranking of the best snow festivals to see in Winter 2016! 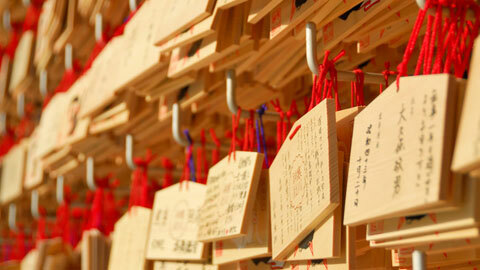 This festival held in mid-February is a 450+ year-old tradition that consecrates a water god. During the festival, 100 snow huts are installed throughout the city, and children recite local phrases encouraging visitors to enter the huts and worship the water god. Amazake (a sweet beverage) and mochi (rice cakes) are offered to guests. Seeing the town filled with snow huts, all lit up at night, is a wondrous sight. Odori site (Odori Koen Park: 1-chome through 12-chome, Odori-nishi, Chuo-ku, Sapporo-shi, Hokkaido) Take subway Tozai Line to Odori Station and disembark. Immediately near the station. Tsudome Site (Sapporo Community Dome -- 885-1, Sakae-machi, Higashi-ku, Sapporo-shi, Hokkaido) Take subway Toho Line to Sakaemachi Station. Exit gate 2; 15 minutes' walk from there. Shuttle bus also operates from Odori site. The main attraction of the Sapporo Snow Festival is its dynamic and intricate designs. An array of sculptures made only of snow and ice span a 1.5 km area, all in a row. The festival is not only a hit in Japan, but is globally famous, with 2 million people visiting every year. The event is held at major sites in Sapporo like the Tsudome sports center and key shopping streets. Zao Ropeway (Jizo Sancho Station), 229-3 Zao Onsen, Yamagata-shi From JR Yamagata Station, transfer to Zao Onsen bound bus (45 minutes) and disembark at Zao Onsen. Transfer to Zao Ropeway bound for Zao Sanroku Station (10 minutes on foot). From there, ride to Jizo Sancho Station (17 minutes). When the weather turns cold, the trees along the Zao mountain range naturally freeze and turn into works of art called "ice monsters" or "snow monsters." These attractions are known throughout the world. The frosted trees around Jizo Sancho Station on the Zao Ropeway are some of the finest, and seeing the way they glint in the noontime sun or are vividly illuminated at night is spectacular, with both moods each their own. In addition, the ski slopes at Yamagata Zao Onsen Ski Resort are where you'll see amazing fireworks shows. Oyakuen (8-1 Hanaharu-machi, Aizu-Wakamatsu-shi, Fukushima) Take Ban'etsu West Line to Aizu-Wakamatsu Station. Board Haikara-san circuit bus and disembark at Oyakuen (30 minutes). The Yunishigawa Onsen area gets deep and rich snowfalls, so the area is like a picture postcard full of snow huts, snowmen, and snow lanterns. By day, there are barbecues held inside the snow huts at the Heike no Sato main venue (reservation required) and sledding down a long slope at Yunishigawa Mizu no Sato Snow Park. By night, enjoy the marvelous world of illuminated snow scenery. 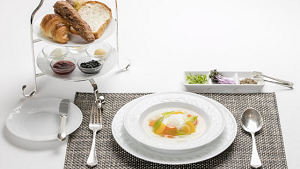 Also available free of charge are local cuisine, sweets, and amazake (a sweet beverage). Ouchijuku has been designated an Important Preservation District for Groups of Traditional Buildings, and it is here that a special snow festival is held. Countless snow lanterns are installed, with fun events like a costume festival, dancing, noodle eating contest, and more. The highlight of the festival is the fire ceremony held each night starting on the first day of the event. Men wrapped in loincloths light each of the lanterns one by one, and then a large fireworks display goes up, coloring the night sky. By day, enjoy events like finding treasures hidden in the snowdrifts, ice cream making, and candle making, among others. The signature event begins at 5:30 PM and is dubbed "Eco Night Fantasy." The lotus pond, frozen over white, plays host to 3,000 candles, their flames flickering among the snow and ice -- what would be more romantic? You can also have a hand at lighting the candles yourself (on a first come, first served basis). Hirosaki Koen Park (1 Shimoshirogane-cho, Hirosaki-shi, Aomori) Take Ou Main Line to Hirosaki Station. Take taxi (10 mins.) or city loop bus to Shiyakusho-mae (15 mins.). Four minute walk from there. A range of lanterns and snow sculptures can be seen throughout the park -- 150 of them! The castle keep and old pines are beautifully lit up against the snow. 300 miniature snow huts with lanterns also dot the lotus pond, creating a magnificent sight. By day, you can see snow sculpture dioramas of traditional buildings and a giant snow slide, as well as street stalls and a local products fair. Paper lantern square (Aza Ochida, Kamihinokinai, Nishiki-cho, Senboku-shi, Akita) Take Akita Nairiku Jukan Railway to Kamihinokinai. Seven minute walk from there. 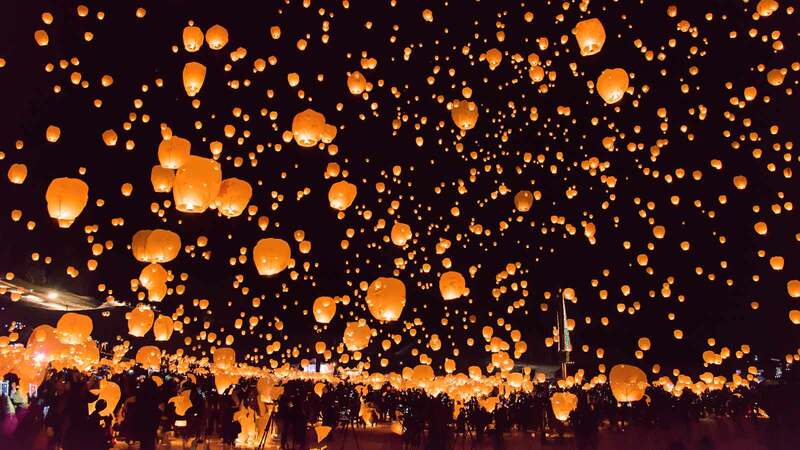 Massive paper lanterns with images of warriors and beauties fly up into the winter night sky. The lanterns contain cloth balls soaked in kerosene; when lit, the heat works like a hot air balloon, pushing the lantern aloft. The one hundred lanterns, with messages of prayer from participants, ascend to the heavens. 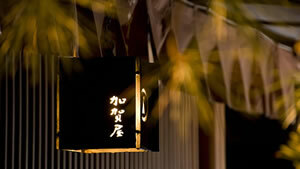 The lanterns are variously launched between 6:00 and 8:30 PM. Koiwai Farm (36-1 Maruyachi, Shizukuishi-cho, Iwate-gun, Iwate) Take Tohoku Main Line or Tazawako Line to Morioka Station. Transfer to bus bound for Koiwai Farm Makiba-en (30 mins.). Alternately, take taxi (10 mins.) from Koiwai Station on the Tazawako Line. A vast labyrinth made of snow, a 4 meter tall snow slide, snow huts where you can sample "Genghis Khan" (a grilled mutton dish), and stage shows and fantastic fireworks, to name but a few! At night, the snow and ice sculptures are illuminated in a rainbow of colors. For 2016, an extra snow sculpture has been added, bringing the total to 12. This year, the Snowman Contest launches for the first time -- make your own snowman and submit it to a vote! Announcing the top 10 areas that saw a surge in tourists from abroad in 2015! These special places, beloved by tourists, are full of the hidden charms of Japan! 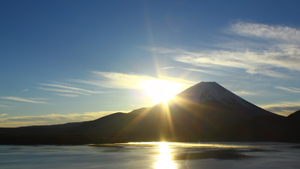 According to Japanese custom, the the first sunrise of the year holds supernatural power. Atami, Beppu, Kusatsu. 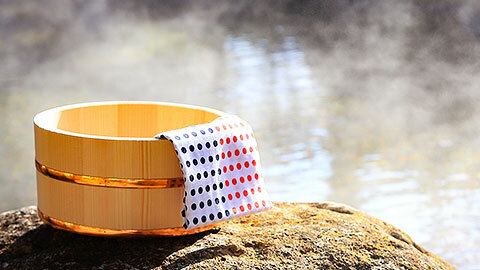 These famous hot springs ("onsen" in Japanese) bring you the warmth of Japan. Enjoy them to your heart's content. 7 regional tournament-winning breakfasts compete to decide an overall winner. Which of these delicious dishes was named the Best Breakfast in Japan? 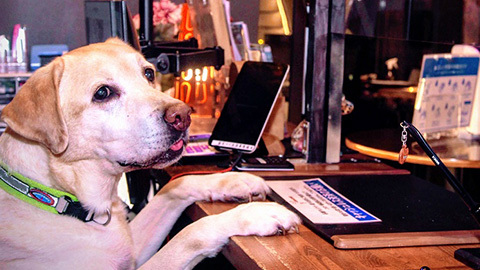 Announcing the TOP 10 "cute" and "dogs I'd like to meet" mascot dogs from hotels, inns, and ryokans nationwide, based on votes from all of our users! Check out the most talked-about shrines and temples that had the highest number of visitors! 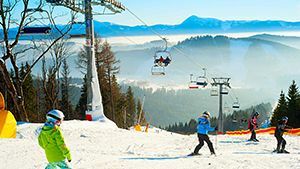 If you're a beginner or have kids and want to take it easy on the slopes this winter, here are 10 places to ski or snowboard in Japan to check out! 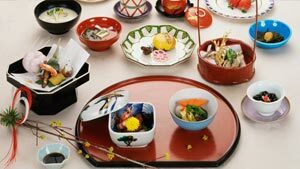 Kyoto's Top 10 most mouth-watering dishes, as featured in local gourmet rankings and selected by travelers. These famous ryokan have a reputation for being the best of the best across Japan--as chosen by actual travelers! © Rakuten, Inc. All Rights Reserved.